Kristin Machacek Leary, formerly senior vice president of global human resources at Alphatec Spine, has been named VP and chief HR officer at Forcepoint — the cybersecurity joint venture of Raytheon (NYSE: RTN) and Vista Equity Partners. 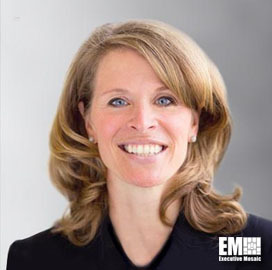 Forcepoint said Tuesday that Leary will be responsible for the organization’s global talent, culture and workforce development programs in her new position. The 25-year HR veteran will be based in Austin, Texas, and report to CEO Matthew Moynahan. “Kristin’s breadth of experience will help us ensure we have the programs and development that attract the best people in industry to begin or build their careers at Forcepoint, ” said Moynahan. She previously held HR leadership roles at Quintiles (NYSE: Q), Hewlett-Packard and Boston Scientific (NYSE: BSX). Forcepoint operated under the Raytheon | Websense name before it rebranded in January to reflect the organization’s network security services offerings for government agencies and private businesses.